Hey, puddin'… need a knapsack? 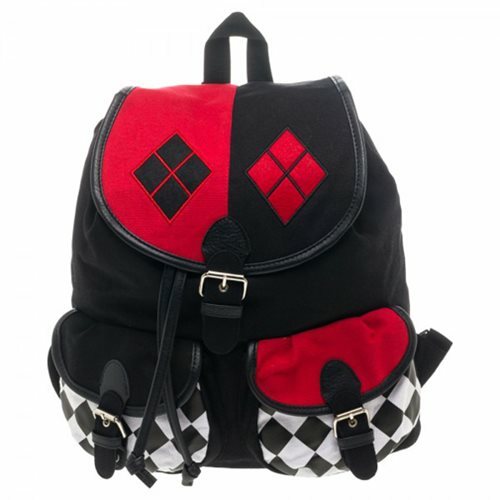 This Harley Quinn Knapsack is great for back-to-school or your next crime spree with the Joker. In Harley's trademark red, black, and white colors and motif, it's made of 81% cotton and 19% PU, and measures about 16-inches tall x 12-inches wide x 7-inches deep. You'll love the handle on top, the adjustable straps, and the two handy pouches on the front! Ages 14 and up.